The festival itself isn’t just celebrating the harvest of the grapes but it is a creative 30-40 day party for the scrumptious fruit. Held in Piazza Buondelmonti, the festival has grown in size each year. La Festa Dell’Uva was founded in 1926 to advertise the farm products of the Chianti. It was created with a modest idea like oxes pulling carts with each farm’s products to sell. In 1932 the Rioni or districts were created: Pallo’, S.Marie, Fornaci and S.Antonio. Thus began the rival cart making of each district. Each year they became bigger and better, the participants of La Festa dell'Uva of each district grew as well. On these brisk September eves, they're spent sewing costumes, building the carts up, eating huge dinners and of course, enjoying a glass of Chianti wine. A lot of sleepless nights are had when they are up constructing, building, gluing, sewing and dancing the night away until the point of arguing. Everyone works late to improve his or her rioni to make it the best above the rest. The carts may reach over 10 feet high which follow the grape theme. They have been developed into more classic and modern carts after many meetings with each district. During World War II, the festivities were postponed until 1950 when everyone came out with more excitement. Each district became more creative, more choreographed, bigger carts, more exquisite costumes. 1994 everything changed, each rioni became as one, working together. They found it to be more useful to organize this festival with all of the rioni on the same page. Making each resident of Impruneta feel more a part of an age old tradition in the hills of Tuscany instead of it being all about the competition. The parade takes place always the last Sunday of September. It is determined which rioni wins the cup by how they perform in the parade and how unique their decor is. 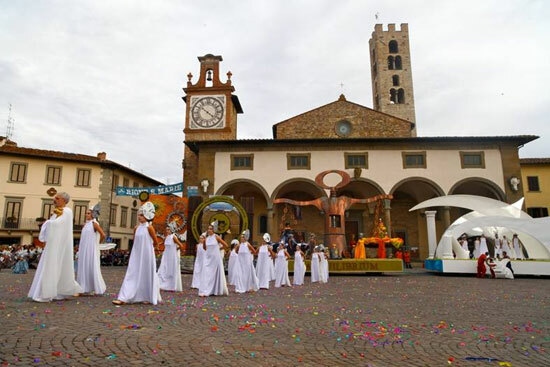 When a winning rione is voted, they have their own parade on the following Monday basically to promote their original design of carts, costumes and dancers. They continue to make fun of the other rioni until the next grape festival as torture. Typical Italian-style. 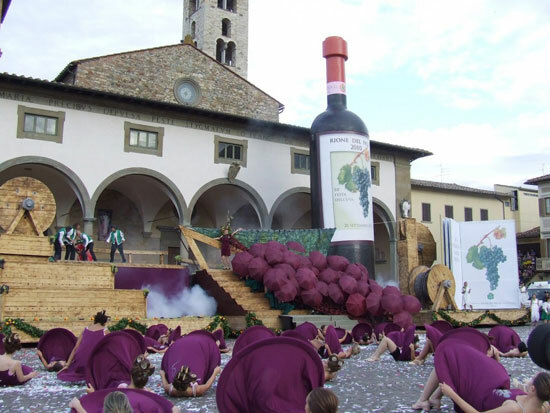 In 2003 the Committee Rionale disbanded and thus creating l’ENTE FESTA DELL’UVA. Adding other surrounding districts from around Impruneta to be a part of the festivities. La Festa Dell’Uva started in Impruneta although many people come from outside to help in the building, discussing, sometimes arguing, but all together creating a masterpiece of work done on the account of the grapes that are being celebrated. Recently in the past few years, there have been a series of side events happening around the main event. Soccer tournaments, races of legendary carts, art exhibits and a contest for the local shop windows called “The Showcase of the Grape”. 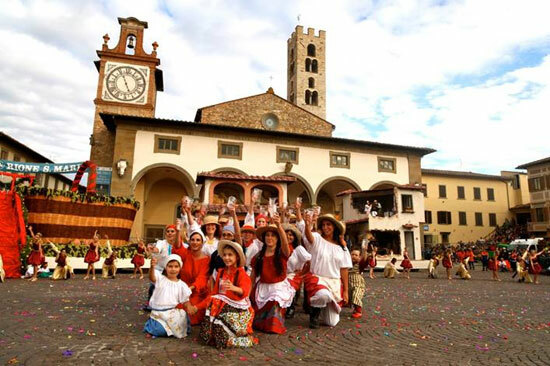 It is one of those Tuscan events like the Palio, seeing the Leaning Tower, you must see for yourself. Each year tops the next as everyone becomes more and more creative. For more information on this event check out here. 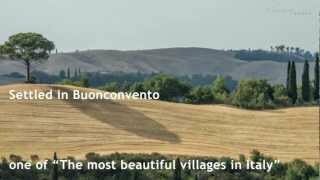 Are you interested in Italaian events and traditions? 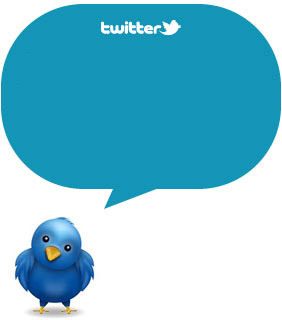 Stay tuned: follow us on Twitter and Facebook and subscribe to our RSS! This was particularly interesting for me to read as I'll be going to Impruneta at the end of October for a tango event! :-) This article gives me some perspective on where I'll be for 4 nights. Would love to see this festival someday. Thanks for sharing about it, Katie! I love the carts, they're so spectacular! The photo of Pallo is my favourite! 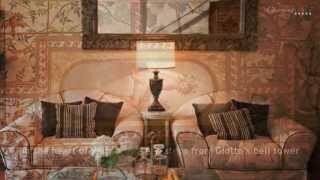 My wife and I were in Italy last year and happened to be staying in a villa with friends close to Impruneta during the Grape Festival. This is an amazing event. I recommend seeing it and hanging around for as long as you can after the parade and enjoying the atmosphere, wine and mixing with the locals. Hi Josie! 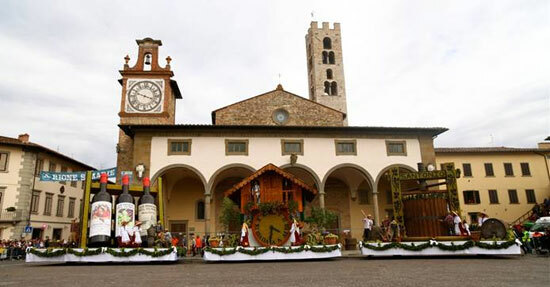 The Festa dell'Uva 2011 will take place in September, 25th. Have fun! Thank you Enrico for the update!